FAQ: I have heard many Christians say that if a sick person has enough faith, God will always heal him; and that if one does not get healed, it is because he didn’t have enough faith. 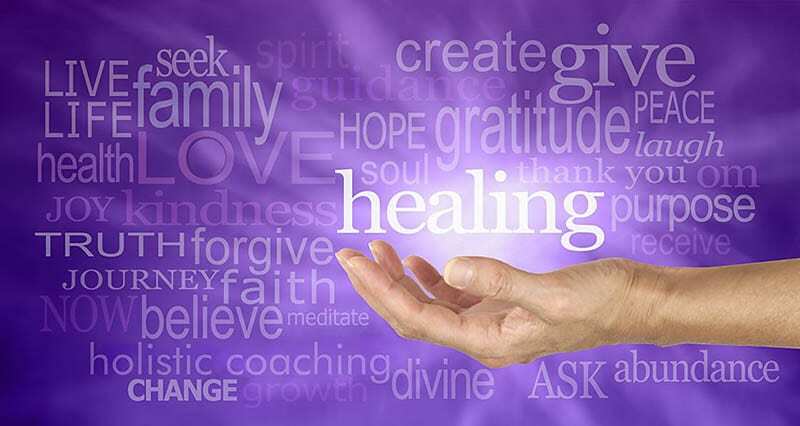 Others I’ve talked to aren’t sure but seem to think that healing is not available today. And some say that God is the one who sends sickness to make us humble. Personally, I’m sick of the confusion. What does the Bible really say about healing? The question you have asked is one to which virtually every Christian wants an answer and, of course, the Word of God is the only place to find answers. This is a huge subject about which many books have been written, and we cannot begin to cover all the pertinent verses in this brief article. We can, however, show you liberating truth from the Bible that should go a long way toward eliminating your current confusion. To handle this subject, it is probably best to break it down into a series of questions. Where did sickness, disease, and death originate and were they part of God’s plan? Second, the Bible says that “God is love” (1 John 4:16). Think about that. We are all loving at times, but God is love, which means that by His very nature and unchanging character it is impossible for Him to think, say, or do anything that is not totally loving. Making people sick to humble them is not being loving. Finally, Jesus always did the will of God and he never made anyone sick. In fact, he healed “…all that were oppressed of the devil…” (Acts 10:38 – KJV). Therefore, God’s will must also be to heal people. Colossians 1:15 says that Jesus is the “…image of the invisible God…,” meaning that Jesus always said and did what his Father wanted him to, and he became the reflection of his Father’s glory. Thus, he could say, “…Anyone who has seen me has seen the Father…” (John 14:9), meaning that he flawlessly represented God to the world in a tangible, touchable way. No, He isn’t (1 John 5:19). First, it is essential to understand that God gave humans complete and genuine free will. Adam chose to sin and thus brought disease, death, and destruction into the world. That is not God’s fault. The Fall unleashed a host of germs and viruses that were not part of God’s original plan. Second, human beings have not lived in accordance with God’s laws. He gave many laws to Moses pertaining to cleanliness and healthful practices which, if followed, ensured the health of the people. Also, God gave them food laws that helped protect them from disease. Third, modern man has added to food innumerable chemicals, hormones, pesticides, etc., that are essentially toxic to the human body. These chemicals produce illnesses of all kinds. Modern farming techniques have also depleted the soil of substances that the body needs for health, and unless people take a mineral supplement, they can become malnourished and diseased. Vitamins contained in healthful food are often lost in the process of getting to market or later on in the cooking process. Vitamin deficiencies are responsible for many illness and unhealthy conditions. Plus, many Western folks eat way too much, bringing on themselves all manner of health problems. Fourth, most people are often anxious, afraid, angry, bitter, etc. and such attitudes do bad things to the human body, even as happiness acts like a medicine. People also deliberately ingest things that are not healthy, like drugs, or are the victim of environmental toxins of which they are unaware. First, “He sent his word, and healed them…” (Ps. 107:20 – KJV). God’s Word heals when it is received, understood, and believed. One of the manifestations of the spirit Christians can utilize is “gifts of healing” and some are gifted to be “workers of miracles,” which we believe includes miraculous healing. Clearly, God has provided for healing in many ways. There is a foundational distinction in the area of healing that we should all understand in order to adopt the right attitude. We know that health and wholeness is God’s will and that He has empowered us to heal via the holy spirit, but that does not mean that healing is a right or something that we can demand or “claim” as some teach. When properly understood, we believe that Scripture reveals that healing is a gift that is received by faith. In the United States we have certain “rights” guaranteed by our constitution. We have the right to free speech, freedom of assembly, and freedom of religion and these rights are something we can demand. As sons of God, we also have certain rights. Unlike a right, a gift is not something that one can demand. We see that demonstrated in the Gospels in the ministry of Jesus Christ. No one came to Jesus and demanded to be healed. They asked for Jesus to heal them. A gift is given voluntarily, without payment, and is usually presented to the recipient to show favor. Redemption, salvation, and eternal life are some of the gifts God has given us because of His great mercy and grace. He is merciful because He has withheld from us what we truly deserve for our sins, which is death, and His gifts demonstrate His unmerited favor towards us. Healing is one of those precious gifts. We didn’t earn it and we don’t deserve it. Whenever and wherever healing occurs, it is always because of God’s mercy and grace. Note how David associated healing with God’s mercy. (27) Indeed he was ill, and almost died. But God had mercy on him, and not on him only but also on me, to spare me sorrow upon sorrow. In America, we tend to think in terms of rights and entitlement, but in the biblical culture, people thought in terms of patronage. There were serious limitations of goods and services and if you were to get what you needed, you often had to depend upon the generosity of a patron, whether a landowner, a wealthy person, or an emperor. Analogous to that cultural paradigm, God is a generous patron to whom we can confidently look for the satisfaction of a need, not by “claiming a right,” but by virtue of His generosity and goodness. We believe this is how the first-century Christians viewed healing. In God and Jesus Christ, we have the wonderful provision of physical healing which was first demonstrated by Jesus and then by his followers. We trust our heavenly Father and our risen Lord for healing and give them the glory. If it were a right, we could congratulate ourselves for asserting our rights and that is not true faith/trust. When we have a right to something, we can, and generally should, assert that right. But, asserting or demanding something to which we do not have a right carries with it an element of arrogance, an attitude God resists (Prov. 3:34, 15:25, 21:4). When the Old Testament saints came and offered a sacrifice to God, they had no absolute assurance that God was going to grant their request. On the contrary, the tension of not knowing if your sacrifice was acceptable actually engendered humility, which is something He requires when He gives grace. Though Christ’s atonement did make many things available to us, we receive these by trust and confident expectation in the Generous One, not by asserting our rights. The difference in attitude is subtle but is the difference between biblical faith and arrogant presumption. “…God opposes the proud, but gives grace to the humble” (James 4:6). God desires mercy, not sacrifice (Hosea 6:6). The Israelites were approaching Him with the attitude that they merely had to comply with the outward, sacrificial requirements of the Law. They wrongly focused on the sacrifice and not on the heart, that is, the relationship that God desired to have with them in their coming to Him as He prescribed. Our God is not a vending machine, nor is He one merely transacting business with us. Our Father desires an intimate relationship with each of His children. He gives to us in order to bless us and to engender joy, thanksgiving, and more trust in return on our part. “Let us therefore come boldly unto the throne of grace, that we may obtain mercy, and find grace to help in time of need” (Heb. 4:16–KJV).